In a landmark judgment, a MCOCA court in Mumbai has convicted underworld don Arun Gawali along with eleven others for a case of murder. The case pertain to killing of Kamlakar Jamsandekar, a Shiv Sena corporator, in 2008, at his house in Ghatkopar by the shooters of the Gawli gang. This is the first such conviction of a gang lord. Abu Salem was convicted in a fake passport case, not a heinous crime case, however, he was not considered a full fledged don, rather an ex-member of Dawood Ibrahim's gang who had broken away to start his extortion racket. The court for Maharashtra Control of Organised Crime Act (MCOCA) has sentenced Gawli though the quantum of sentence would be announced later. The police charge sheet held that Gawli had taken Rs 30 lakh as 'supari' or contract amount for eliminating the Shiv Sena leader form the latter's business rivals. 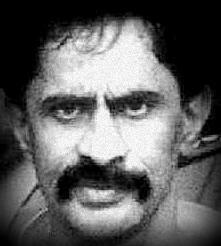 In past, Varadarajan Mudaliyar, Haji Mastan and Dawood Ibrahim have been the most notorious of gangsters in Mumbai. Dawood Ibrahim is supposed to be in Pakistan. After Mumbai blasts, the underworld had a split on religious lines, though Hindu and Muslim gangs continued to operate together also. But after Dawood's exit, Chhota Rajan gang emerged. Arun Gawli has tried his hands at politics also. In the last few years Mumbai has seen a decline in underworld activities after series of encounters in which dozens of members of various gangs were shot dead.